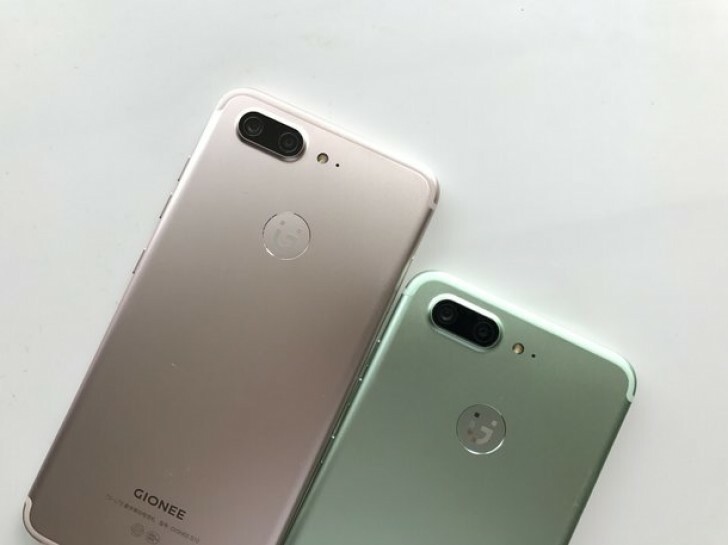 Gionee's upcoming S10 just keeps on leaking. We've already seen it at TENAA, in a benchmark, and starring in some live images recently. And now we've got two more shots of the S10, thankfully higher quality this time. They show that aside from the black and gold hues that TENAA listed, Gionee is also getting ready to offer the S10 in an intriguing green color. 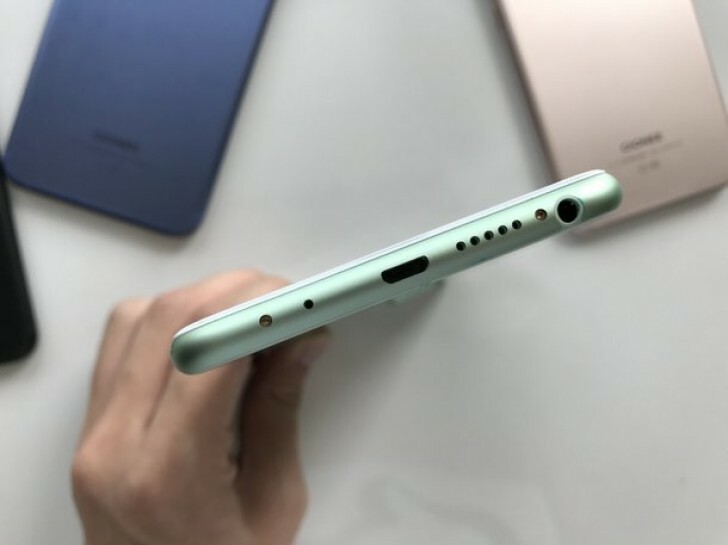 Perhaps it was as inspired by Huawei's "Greenery" P10 color option as much as it was by Apple's iPhone 7 Plus for the overall design of the S10's back. We'll probably never know that, but it is good to see more color choices in smartphones these days. If you take a real close peek at the second leaked image below, you might notice that a blue handset is there in the background too. It's impossible to tell if it's also an S10 variation, but given the context we assume it very well could be. And that would mean that the S10 will come in at least four colors when it does eventually launch. The phone has been revealed to sport a 5.5-inch 1080p touchscreen, a 13 MP + 13 MP dual rear camera setup, possibly two front-facing shooters as well, 4GB of RAM, 64GB of storage, and a MediaTek Helio chip at the helm (which could be the P10 or the P20). The S10 will run Android 7.0 Nougat. The battery capacity will be either 3,450 mAh or 3,700 mAh, past mumblings haven't been able to agree on that.